Finding the ideal employee isn’t easy. Someone with the perfect mix of skills and experience is unlikely to simply walk through your door. Most candidates will meet some of your requirements but lack skills in other key areas. While you could refuse to hire anyone that doesn’t meet every skills and experience requirement, you might wait years to fill that position. During that time, you’ll miss out on some applicants who have the potential to be great employees if given the right opportunity. Alternatively, you could hire somebody with a growth mindset and a desire to learn. 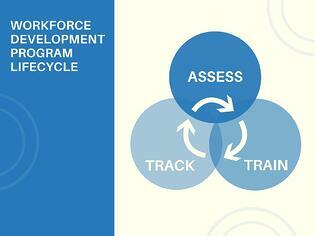 If you have a robust workforce development program, they’ll be up to speed in no time. Your workforce development program isn’t just for new hires either. It can help each employee on your team to reach their highest potential through continuous training and development. Much of the attention around workforce development has centered on government programs and on technical schools, but employers have a valuable role to play as well. For employers, the stakes are high and they’re urgent. You need quality employees, and you need them now. While legislators discuss how to implement workforce development programs, you can start building your own customized solution for your business and its unique training needs. Creating a robust workforce development program will actually save you money on recruiting and hiring. According to go2hr, 40 percent of employees who receive inadequate training will leave within one year. On the other hand, trained employees are happy employees. They feel competent at their work and valued by their employer. With a workforce development program in place, you avoid losing good employees before they have time to become great. Plus, you’ll be able to build a team that has the exact skills you need, making your business more efficient. Businesses that want to take matters into their own hands, need only follow this simple four-step process: assess, train, track, repeat. First, get specific about the skills you need employees to have. For example, communication is a broad skill that could include talking to customers, writing emails, or sharing results with clients. Define your essential skills as precisely as you can and make sure they’re in alignment with company goals and objectives. Next, through testing and observation, figure out what each employee knows and what areas need improvement. You can do this in a number of ways. Give new hires a skill assessment. Look at productivity levels and performance reviews for existing employees. Ask managers and teammates what skills employees excel at and where they struggle. Observe employees in real situations. Ask employees themselves to identify their weakest areas. For client-facing positions, you can ask for feedback from clients as well. Each of these assessment methods have advantages and blind spots. For the most accurate assessment, you’ll probably need to combine at least two or three of these strategies. Finally, you’re ready to find or develop training solutions that address the unique needs of your employees and your business. Employee development can take many forms. You might provide in-house training, tuition assistance, apprenticeship or pre-apprenticeship programs, microlearning opportunities or a mixture of all of these. To be most effective, your training and development solutions should be targeted and customized. For example, while a bachelor’s degree is valuable, focused training in leadership principles may be more immediately useful for employees seeking management roles. The development opportunities you provide should align with employee’s learning pathways - these pathways chart a clear route from an employee’s current level of knowledge to the education or certification necessary to qualify for those roles. While some of your training can occur in-house, partnering with an education provider like Penn Foster can help you maximize return on investment. The education provider does what they do best -- train and teach -- while you focus on running your business. Look for education providers who offer skills assessments, customized programs and flexible access so employees can train on their own schedule. 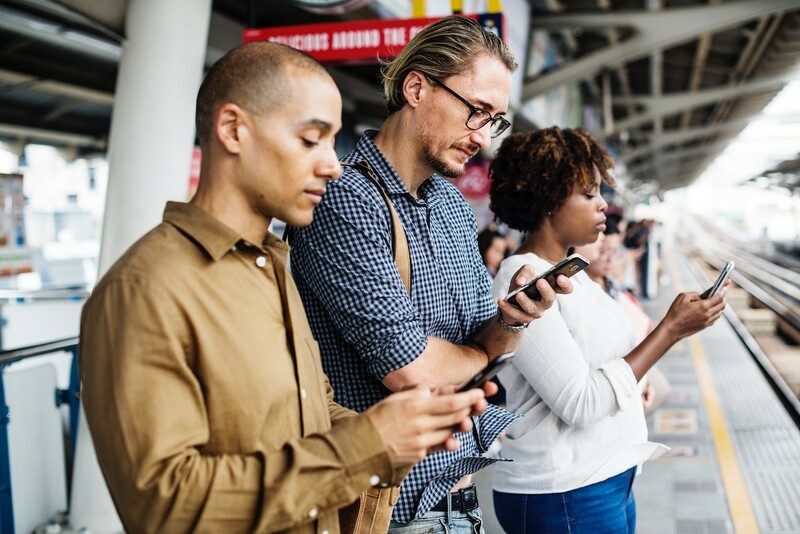 With mobile-friendly training solutions, employees can work on their skills even when they’re not at work. You don’t want to create a workforce development program just to be able to say you have one. You want a robust program that will equip your employees for success. Tracking your results helps ensure that your program is doing what it was meant to do. Measuring your results also allows you to offer proof of concept to employees. If you can show them that completing the program leads to more promotions, better job prospects, higher wages, and greater happiness, they’re more likely to be invested in the process. You should measure three vital areas: completion, performance, and perception. Completion assesses the ease and usefulness of the program by tracking how many employees actually finished each step and how long it took them to do so. Performance assess how well employees learned the material by measuring improvements in their skills before and after training. Look at changes in efficiency, production speed, customer satisfaction or any of the other metrics you used in your original assessment of employees. Perception assess how employees feel about the training. This may sound like a non-essential metric, but employees are more likely to embrace a training that they feel is useful, accessible, and relevant. You may find that your training is too long, too short, overly complicated, or spends too much time on a non-essential topic. With data in hand, you can make adjustments to improve your program. If you’re seeing the results you want, great. If not, tweak your approach to move closer to your goals. Building a robust workforce development program is more like maintaining a property than it is like building a house. You won’t just build it and hand the keys over. Instead, you’ll need to constantly reassess and reevaluate to meet the changing needs of your workforce. New hires will bring different levels of knowledge. Retirements and promotions will change the skills landscape. Different clients or services may require changing areas of expertise. Perform periodic assessments (at least yearly) and modify training plans accordingly. To make sure you’re getting the most out of every change, keep measuring results and use your findings to inform adjustments.